ST. THOMAS, USVI (CBS USVI) — Operators of one of the largest hotels in St. Thomas announce that it is making a comeback. Sugar Bay Resort and Spa in Smith Bay is on the mend after last years storms and management said it is thanks to government help that the recovery process is speeding up. 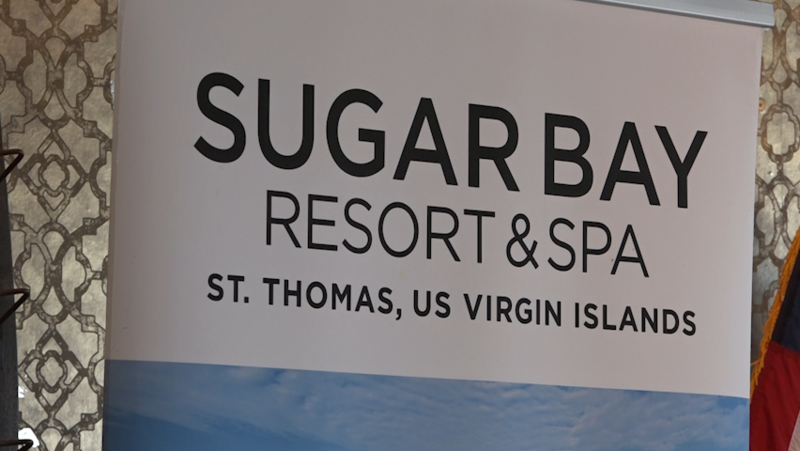 The hotel is still under construction and it is going to be another year or two before it is open again but this announcement Friday gave further confirmation that Sugar Bay is going to be back and open for business. Governor Mapp and Tourism Commissioner Beverly Nicholson-Doty along with Sugar Bay General Manager Ronald Maidens shared the news in a press conference Friday. They said it’s that government-resort partnership that is accelerating the recovery process. They add that incoming funds from FEMA helped make the return of the resort possible. Maidens said the local government is helping the local economy by rebuilding Sugar Bay. The resort also plans to use the hotel as a shelter if a disaster strikes again. “We have already been working with or without the government but this will only expediate the urgent need that the government has not only from a shelter point of view but from a tourist destination. We’re one of the largest hotels here where we can bring incentive groups that otherwise would not be able to come because the two main hotels are not open, the largest hotel with the largest ballroom space,” Maidens added. Now, the general manager couldn’t tell CBS USVI News exactly how much money was coming in from FEMA but he did confirm the money is on its’ way to help the hotel rebuild.